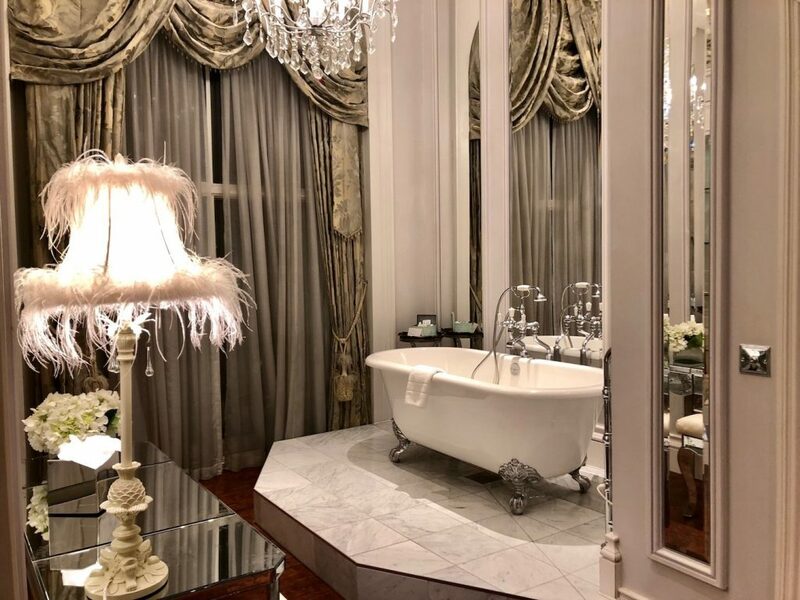 When I was offered the opportunity to experience a night's stay in the Cora Pearl Suite at the Grosvenor London Hotel in Victoria, I knew exactly what it would entail: a night of luxury, sophistication and glamour….things that I yearn for, but I rarely get to experience. 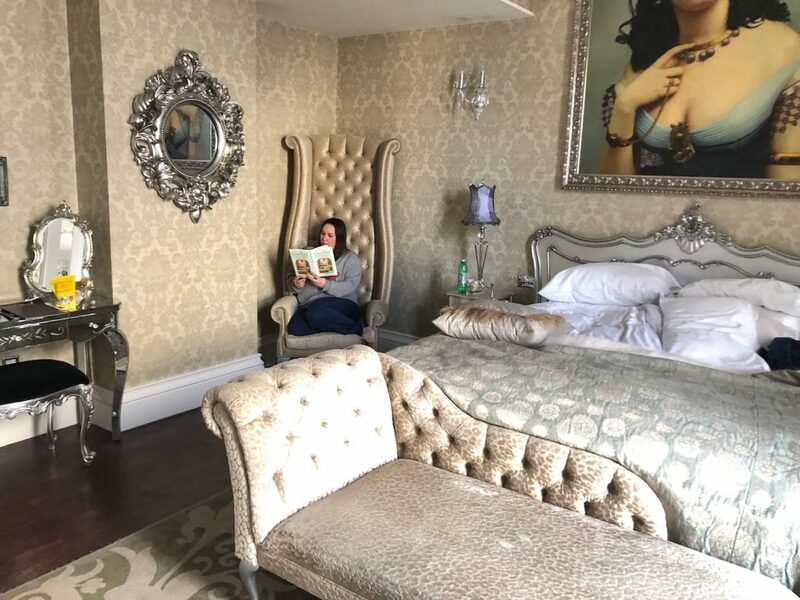 Rewind a couple of weeks and I was being been taken on a tour of the Grosvenor London Hotel – a four-star hotel built in 1862 in the heart of Victoria (it actually adjoins Victoria Station) and, as soon as I saw the Cora Pearl Suite, I was wowed. I think my exact words were ‘Wow, this is stunning”, followed by more “wows”, “ooohs”, “ahhhs” and plenty of adjectives. I also think the PR and hotel assistant were slightly bemused as I took in the delights of the suite; I was on my 20th picture of the roll top bath (it just had to be taken from all angles), when I realised I must have looked like I'd never seen a roll top bath before. But like no other hotel room had done before, the Cora Pearl Suite seemed to be calling me. This was luxury of the highest order and I could just picture myself swanning about in a silk dressing gown, eating grapes and drawing myself a bubble bath. The Cora Pearl Suite is completely different from the other rooms at the hotel, not least because it has its own name rather than a room number, but because everything about it shouts glamour, sophistication and intrigue. And for one night – it was going to be mine and mine only. Well, technically I was going to be sharing it with VIP, but you know what I mean. The hotel itself is a very grand building – both inside and out – with its refined old world charm, marble-balustraded staircases and up-scale bars and restaurants. It has 345 rooms and despite being in the heart of Victoria, you wouldn't know; the rooms offer a quiet, spacious and comfy retreat from the bustle of city life. All rooms offer Egyptian cotton bed linen and large plasma screen TVs, while executive rooms and suites feature iPod docking stations with surround sound. Check-in was quick and we were escorted to the Cora Pearl Suite, which draws inspiration from French interior styling of the 1800s. Highlights were the period-style working telephone, sepia-print wall-mounted erotica and that claw-foot roll-top bath that I had a bit of an obsession with. 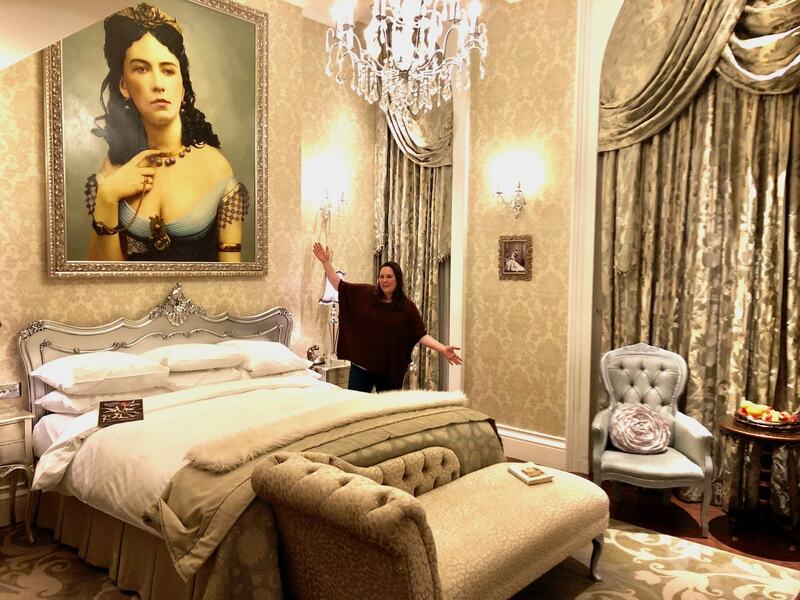 The suite features a stunning two-foot high oil painting of Cora herself, along with glass chandeliers, feather-trimmed lamps, an oversized dressing table, custom made floor fittings and that bath, which is suitably elevated on a marble tiled plinth. The bathtub is actually a replica of the personally engraved bronze bath that Cora has specially cast for her in Paris – which she famously filled with vintage Champagne in which to bathe with her suitors. I had bath salts in mine and I wasn't sharing it with anyone. As VIP and I were in Victoria for the night, we decided to go out to eat (at an Italian restaurant), followed by a screening at The Curzon Cinema, which is around a 10-15 minute walk away, up Victoria Street. It was my first experience of The Curzon and, being totally honest, it wasn't really my cup of tea. Probably because people weren't sat around drinking tea or coffee. Oh no, it was a lot more ‘la di dah', with glasses of wine being sipped from 60-something theatre-goers looking for a change of scenery. And you could literally hear a pin drop before the film started – even with carpet flooring. It was a very bizarre experience and it didn't help that the film left a lot to be desired. I was yearning to get back to my Cora Pearl Suite where I could enjoy a bath and put on Saturday night telly – more my cup of tea. And that's what we did. In fact, I recall telling VIP that ‘this was the life' and that I could get used to it. So, apart from lounging around watching the telly and looking around from time to time to appreciate our surroundings, what else did we get up to? Interestingly, the Cora Pearl Suite has plenty of lovely things to admire – and I'm not just talking about that roll top bath. Dotted throughout the suite were plenty of objects and pictures to take in, along with a Cora Pearl book, which I happily sat reading for a while in the most amazing chair. In the name of research, VIP and I also took ourselves off to the hotel bar, the Reunion Bar, to enjoy cocktails. They cost between £10 and £14 a pop, but the best thing about the bar experience was its people-watching opportunities. The bar actually overlooks Victoria Station concourse and VIP and I had a good old laugh watching merry club-goers stumbling around the station or running to catch their train. Service in the bar was a bit slow for our liking though. In fact, I had to fetch someone to take our order. I was told they'd be coming, but then they kept us waiting another five minutes. When the waitress eventually came to take our order she said that the menu had changed and she was unsure what we were able to order; it all seemed like a bit of a shambles. I got the impression that staff were very flustered, despite there only being a handful of people in the bar that night. Perhaps they were short staffed. I had a bit of a ‘Pretty Woman' moment though. As we were leaving and they gave us the bill, I asked them to charge it to our room. When they asked for the number and I told them it was ‘The Cora Pearl Suite', you should have seen them start fussing over us. And that's probably the closest I'll get to knowing what it's like to be loaded. Back in the suite it was time to rest our weary heads and I had a very sound sleep in the super king sized Hypnos bed. It really was just right – firmness, warmth, comfort…I felt like Goldilocks who had found her ‘just right' bed. 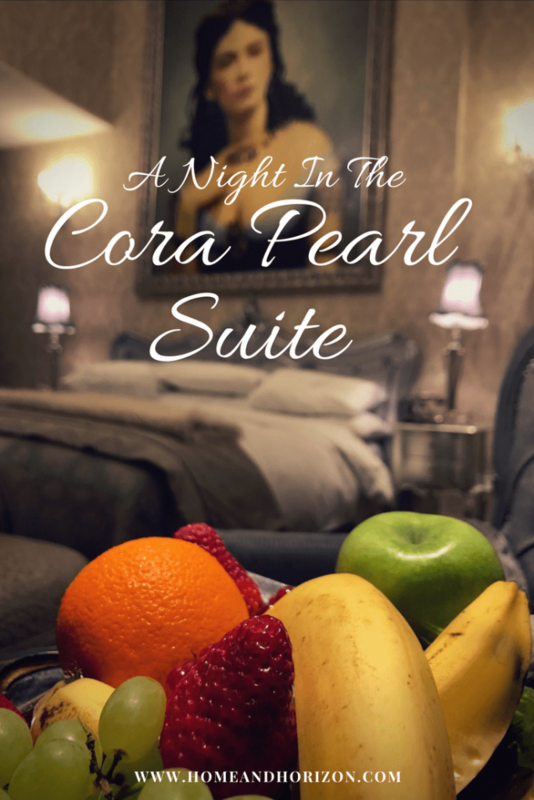 One thing that occurred to me about the Cora Pearl Suite (and all its opulence) was that it would make an ideal surprise for a special occasion stay – a milestone birthday perhaps or a special anniversary. I had a quick look on Trip Advisor following my stay and discovered that most people agree – it's a stunning hotel in a great location and offers First Class amenities. The overall rating is 4.5 out of 5, with 54% of guests rating their stay as “excellent”. Top topics people raved about on the review site are Victoria Station (people watching! ), Buckingham Palace and the Reunion Bar. Many also mentioned the personal service they received. For example, if their stay was for a special occasion, the hotel had left little messages and treats for them – this is always lovely to read and I appreciate hotels that go above and beyond expectations. Aside from the relatively poor service in the Reunion Bar, I really can't fault this hotel. Before I stayed there I wondered if it might be a bit stuffy for my usual ‘jeans and t-shirt' combo, but I couldn't be more wrong. Staff were friendly, helpful and down to earth. Even at breakfast we were asked if we slept well and what plans we had that day – and staff seemed to take a genuine interest in all guests. We felt welcome and very much ‘at home'. So, who is Cora Pearl? Cora was born in Plymouth in 1835. When she was young her father deserted the family and moved to America; Cora's mother told her children that their father was dead and promptly found a lover to help support the family. Cora and her new stepfather didn't get along, so she and her sisters were sent to a convent school in Burgundy where she learnt French. After school finished, Cora went to live with her grandmother in London and worked as a milliner (hat maker), which she found boring. It was rumoured that Cora sought relationships with other women following an unfortunate incident with a man who took advantage of her after getting her drunk. This marked Cora's downfall into the seedy world of prostitution, but her luck changed when she met Robert Bignall, a wealthy property owner. Cora became his mistress and, on a trip to Paris, fell in love with the city. She eventually split up with Robert but decided to live in Paris, where she had a series of relationships including one with the Prince of Orange, who gave her a string of black pearls, with which she was often photographed. I can just imagine her in some fancy boudoir, swanning around in some flimsy gown or nightie and looking a million dollars. But what about my vision of swanning around in a silk dressing gown, eating grapes and drawing a bath? Well, I managed to tick off the latter two (thanks to the Grosvenor Hotel London for leaving a huge bowl of fruit in the suite – including grapes! ), but I forgot to pack my silk dressing gown. Oh that's right, I don't actually own a silk gown. Perhaps it's time I invested in one..I'm sure Cora herself would approve. Rooms start from £102 per night for a standard twin and standard double. A family room sleeps three and costs from £186, while a deluxe double room is from £150. Then you have an executive king room from £198 and a suite from £318. Prices for the one-off Cora Pearl Suite start from £318 per night – not bad at all for a special occasion stay. The price also includes admission to the executive lounge (which is super nice) and breakfast. Some rooms offer views down Buckingham Palace Road to the Royal Mews and the Palace Gardens, while others look out over Victoria Station. There's a restaurant on site – The Grand Imperial Suite – serving authentic Cantonese cuisine, along with a separate lounge area for Afternoon Tea (yes please! ); The Grosvenor Arms where you can eat breakfast, lunch and dinner; and The Reunion Bar. There's plenty to do in and around Victoria including theatre shows, restaurants, cinemas and clubs, plus it's easy to get to from various other parts of London. Nearby attractions include Buckingham Palace, Houses of Parliament, Westminster Abbey and St. James' Park. Keep an eye on the Guoman.com website as the hotel sometimes offers special deals on overnight stays! 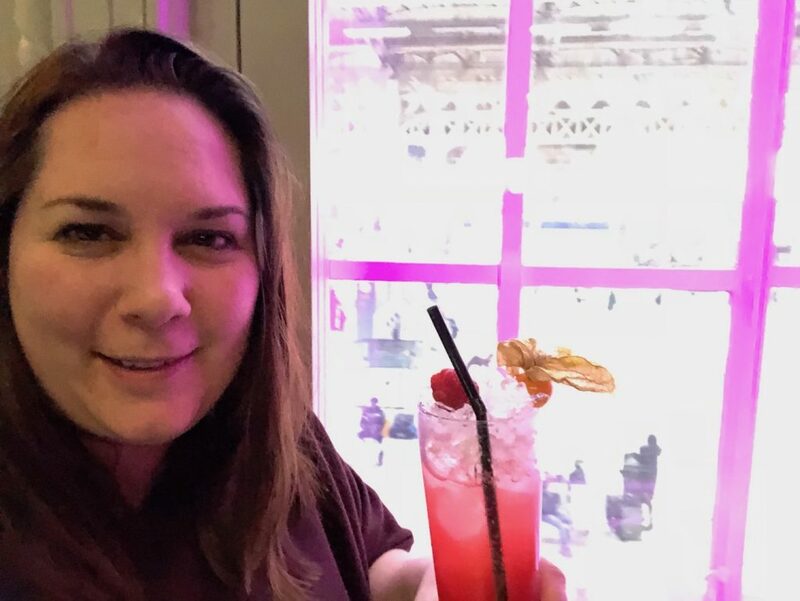 20 Hours In Paris and Kid-Free! Looks fabulous ❤ Would LOVE to stay there! It was an amazing hotel – I’m still dreaming about that chair! Oh my goodness, that bed! If I won a lot of money that is the sort of bed I would have! You and me both Lorna! Sounds like an amazing place, so glad you enjoyed your stay. What a great opportunity, such lovely memories, thanks for sharing, hints will be dropped for my birthday surprise! Thanks Kayleigh – I won’t be forgetting that stay in a hurry! Oh my goodness! What beauty and decadence. It looks absolutely gorgeous and I suspect that your review is as close as I will ever get to staying somewhere as posh. I don’t own a silk dressing gown, either! Ha ha thanks Susan – it’s one of those places that you think you’d never stay there but if it was a special occasion or milestone birthday, it would be a great place to treat yourself. Drop some hints ha ha! Ha ha – I concur! Wouldn’t it be great to have a bed like that in your bedroom – space permitting of course! Wow. I thought I had stayed in some fancy hotels, but this one just about tops it. It’s so glamorous! Wow, what a luxurious looking room. That’s a shame about service in the bar but I think I’d excuse them that to stay in such a beautiful room! Oh absolutely – and in all honesty, I might have just caught them at the wrong moment. I know what you mean. There were some luxurious bath salts on the glass shelf in the bathroom and I was worried they’d drop and break, so I was ever so careful with them! You lucky lady! This suite looks like heaven, I so want to be in that bath and a bed that suits the queen will do for me! It was certainly fit for a queen Jenni! Well, it made me feel like royalty anyway. I still remember it very fondly! You should see a sign for it inside the station if you look closely – and you can access the main entrance outside the station too. Now this looks like my kind of room Lauretta. I would have been the same as you with thw roll top bath. Absolutely love them. When I’m rich (ahem), then I’ll obvs treat myself to a roll top bath – as you do! Oooooooooooo! That’s swanky! I’d love to stay in this room while visiting the theatre! Love the bath and the way the barman changed his tone at the room tab! Ah you had to be there – it was really quite amusing. I think he thought we were just passing by the hotel and were not staying there – especially not in such a swanky room! Ooh yes – plush is definitely a great word to describe the suite! WOW! Now that is a hotel! How stunning and totally luxurious! I need to book a stay there! I’m sure you’d think it was a great decision if you did Laura! Oh I am so jealous, I would have traded places with you in a heartbeat. I love this style and time in decor. You’ll have to start saving Debra – or drop some huge hints to your family! Oh my goodness… I’m literally lusting over the ornateness and elegance of the room! The bath looks incredible!!! Thanks – it was pretty amazing bathing in it too….felt like a queen! I did! I like to look for unusual angles and it’s such a unique piece. It was nice to have a bath in it too – video coming soon! What an amazing place to stay! The decor is just beautiful and perfect for taking some to just relax and enjoy a book in luxurious surroundings! Can’t say no to a beautiful place like that! I wouldn’t mind staying there if I were ever in London. It’s definitely something that I would love to experience! It’s great for a special treat Alison – and worth a look-see. You are such a lucky girly, what an amazing place to stay! I certainly was! I’d definitely book it out for a milestone birthday or anniversary – such a lovely room (and hotel) to experience. Oh my goodness that place is stunning! I wouldn’t want to leave that room EVER! Yes, it was hard to drag myself away for something to eat! Oh wow! Such a beautiful room. I would love my bedroom to resemble the Cora Pearl Suite. Oh my goodness! That suite looks absolutely amazing, I would love to curl up in that chair and just read a book and those check in and out times are great. I want to go back Kerry! It’s rare that I say that about a hotel but I’d stay there again in a heartbeat. One for you & Nik as a special treat maybe?! What a beautiful hotel. The decor in the room is amazing. Those chairs are pretty!